Thanks to their utility, affordable prices, and good gas mileage, hatchbacks and wagons serve as appealing alternatives to more expensive and less efficient SUVs. This guide contains the 10 best-selling hatchbacks and wagons in America. They’re listed in reverse order of sales popularity* from 10th most popular to the most popular. In some cases we’ve needed to estimate sales. Note this list does not include luxury brands. A tiny city car, the Chevrolet Spark has seating for 4 people protected by no fewer than 10 air bags. Sold in LS, LT, and Activ trim, the Spark has a 98-horsepower, 1.4-liter 4-cylinder engine, manual or automatic transmission, and up to 27.2 cu. ft. of cargo space. The Activ version is dressed up like an SUV and includes a raised suspension and roof rails. Ford’s perky party car, the Fiesta, was designed and engineered in Europe. As such, enjoyable driving dynamics, especially in performance-tuned ST trim, make the Fiesta fun. Alas, 2019 is the final year for the Fiesta, which comes in SE, racy-looking ST-Line, and turbocharged ST trim. Maximum cargo volume with the rear seats folded down measures 25.4 cu. ft.
Less popular than Volkswagen’s Jetta sedan, the Golf comes in 5-door hatchback and wagon body styles. 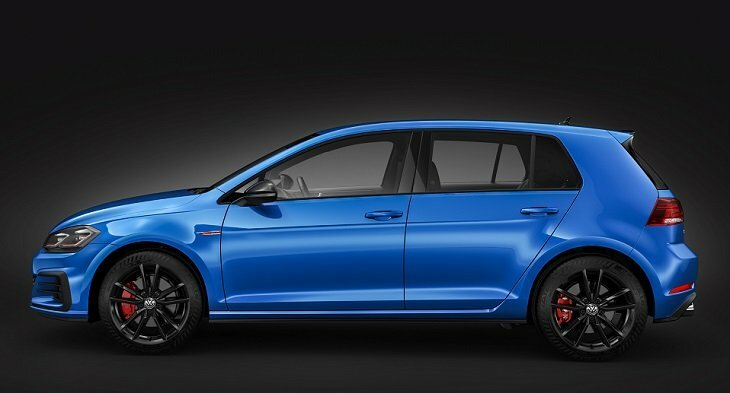 Highlights of the lineup include the Alltrack all-wheel-drive (AWD) wagon, electric e-Golf, GTI sport hatch, and the Golf R performance version, which uses the same drivetrain as the Audi S3 and TTS. Hatchbacks hold up to 52.7 cu. ft. of cargo, while wagons can handle as much as 66.5 cu. ft. of your stuff. Looking for a small, diesel-powered 5-door hatchback offering up to 47.2 cu. ft. of cargo space and getting as much as 48 mpg on the highway? 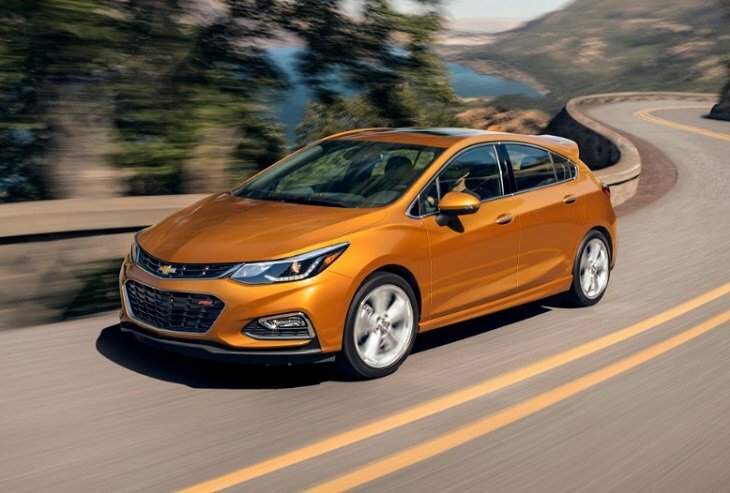 Get a Chevy Cruze while you can, because this car has gone out of production. Once dealer stocks are sold, the Cruze is cancelled. In addition to a turbocharged diesel engine, the Cruze is available with a turbocharged gas engine. Trim levels include LS, LT, and Premier. 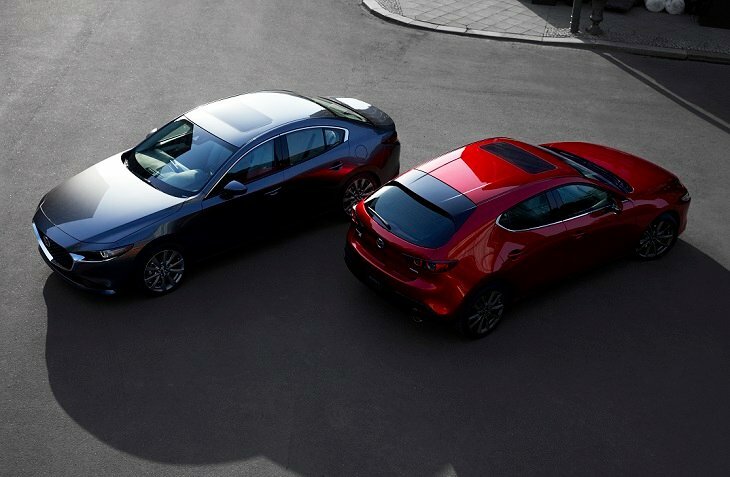 Redesigned for 2019, the Mazda 3 hatchback blends unusual design with an upscale interior and 20.1 cu. ft. of cargo space behind the rear seat (a maximum number was not available). A 186-horsepower, 2.5-liter 4-cylinder engine is paired with a manual or automatic transmission, and AWD is an option. Choose between standard, Preferred, and Premium trim, and enjoy one of the most sophisticated compact cars available today. From its affordable price to its impressive utility, the Honda Fit is a popular choice among people seeking basic transportation. Choose between LX, Sport, EX, and leather-lined EX-L trim levels, each powered by a 130-horsepower 4-cylinder engine. A manual transmission is standard on most, with a continuously variable transmission (CVT) available as an upgrade (standard on EX-L). Maximum cargo volume measures 52.7 cu. ft. Equipped with standard AWD and engineered to provide outstanding protection in a collision, the Subaru Impreza 5-door supplies up to 55.3 cu. ft. of cargo space. 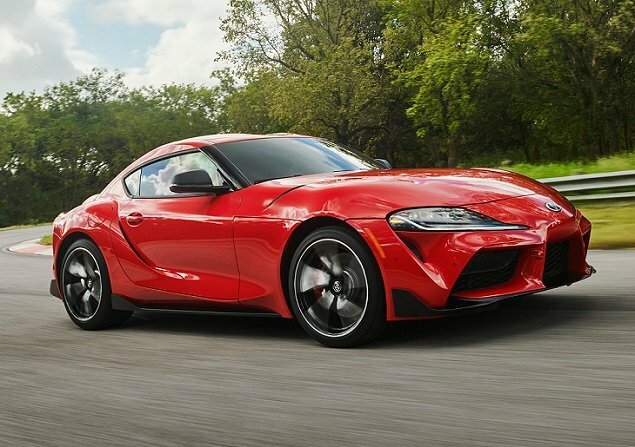 A 152-horsepower 4-cylinder engine supplies the power, and either a manual gearbox or a CVT distributes it to all four wheels. 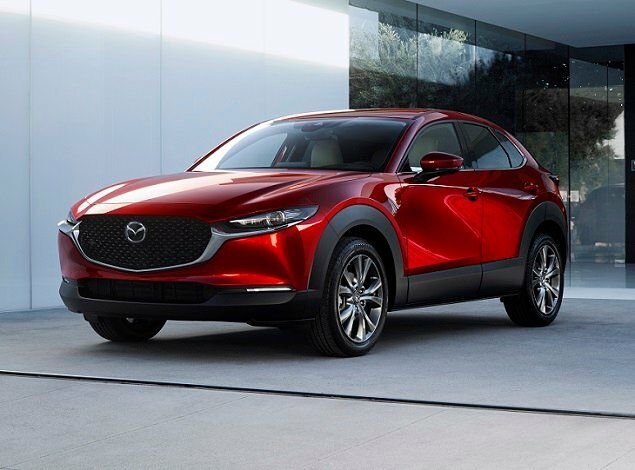 Buyers may choose between standard, Premium, Sport, and Limited trim levels. 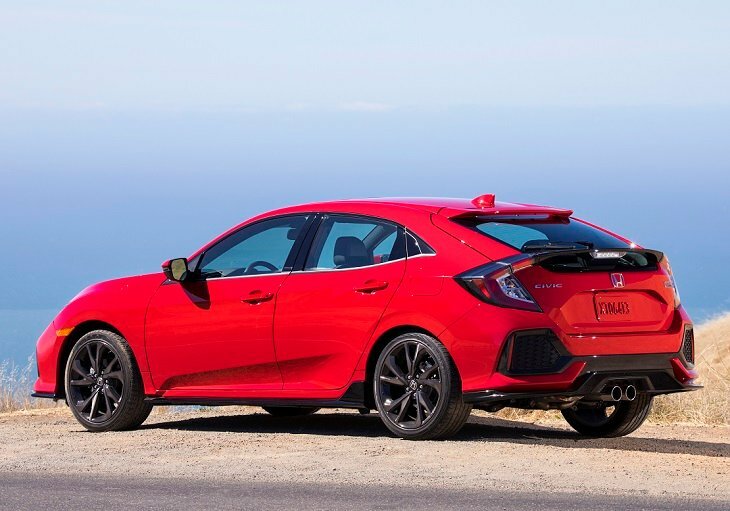 Honda’s sporty Civic Hatchback hails from the United Kingdom and is offered in LX, Sport, EX, EX-L, Sport Touring, and performance-tuned Type R trim levels. They all come with a turbocharged 4-cylinder engine, the one in the Type R making lots of extra power. Manual and CVT gearboxes are also available, and the Civic Hatchback holds up to 46.2 cu. ft. of cargo. Everyone knows the Toyota Prius is a hybrid, but did you also know that it’s a midsize car offering plenty of room inside for passengers and cargo? Maximum cargo space measures 65.5 cu. ft., about the same as a Golf SportWagen. 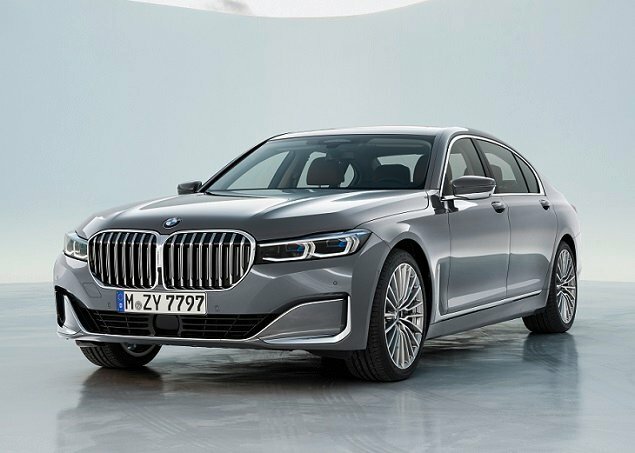 Fuel economy measures 52 mpg in combined driving, with the L Eco getting slightly better and versions with the new electric AWD system getting slightly less. 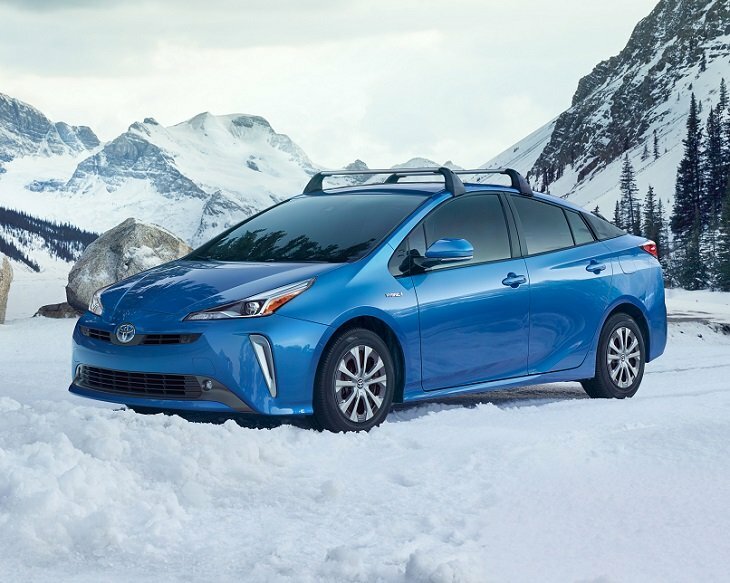 In addition to L Eco, the 2019 Prius comes in LE, XLE, and Limited trim levels. Kia’s jaunty Soul packs plenty of personality. 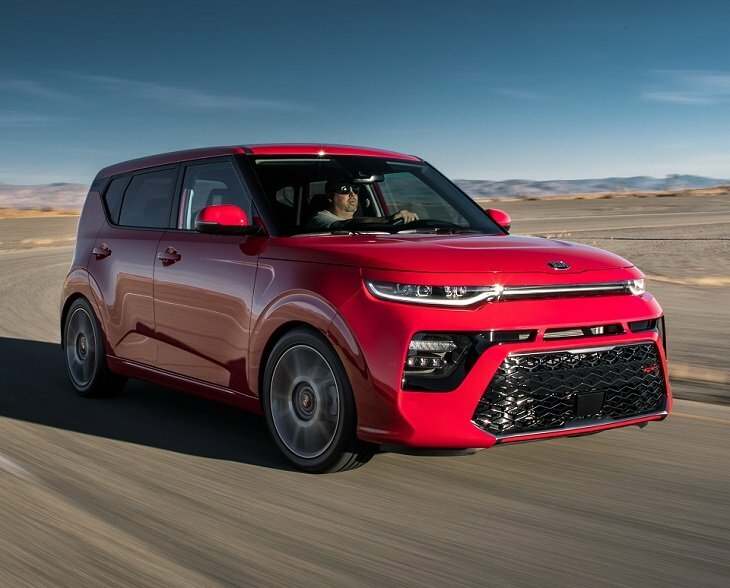 In its final year before a redesign, the 2019 Soul comes with three different gas powertrains ranging from a 130-horsepower standard engine to a 201-horsepower turbocharged engine. An electric version, the Soul EV, supplies 111 miles of driving range. Fold the roomy rear seat down and this car can carry up to 49.5 cu. ft. of cargo.